The governing board of the Iditarod Trail Sled Dog Race announced Monday that it will "formally reprimand" the head of the race drug-testing program. 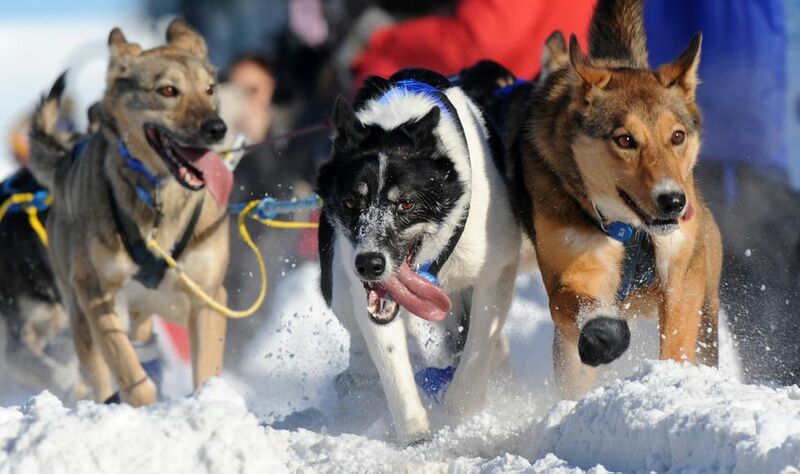 A top musher accused Morrie Craig, who leads the effort to tests dogs for banned substances, of attempting to threaten and intimidate him moments before the race began March 4. Craig told the Daily News that he did not intend to threaten the racer, Wade Marrs. Craig admitted to making ill-timed remarks and said he planned to apologize. Craig was fired from his position as a toxicology professor at Oregon State University in late October for sexual harassment and bullying. He has appealed to keep that job and told the Daily News he is not guilty of the accusations. The Iditarod drug testing program lies at the center of a months-long feud between race organizers and four-time champion Dallas Seavey. Drug tests revealed that four of Seavey's dogs tested positive for tramadol, a banned painkiller, following the 2017 race. Seavey says he did not give the drug to the dogs and doesn't know who did. Seavey skipped the 2018 race in protest of the Iditarod Trail Committee's handling of the matter. The problems reignited last week when Marrs said Craig approached him before the race and told him his dog team had tested positive for minuscule levels of a substance that is sometimes found in livestock eaten by dogs. The test results were not considered a violation, but had raised questions among mushers about a second, potential positive drug test in the 2017 race. Marrs was not aware of the test results involving his team until Craig informed him just before Marrs left Willow to begin the 1,000-mile race. Marrs is president of the Iditarod Official Finishers Club, a kind of players union for mushers that has called for the resignation of the board of directors president and has been critical of the race organization. Marrs said Craig told him that if "his 'workings' within the IOFC and specifically with Dallas Seavey did not cease," Craig would release information about Marrs' test results. "Wade felt that Dr. Craig was using this information as leverage for Wade's silence regarding the 2017 drug testing at the upcoming Iditarod Official Finishers Club meeting in Nome," Marrs' kennel said in a statement. Craig said he did not threaten the musher but talked in general about discussing 2017 testing results following the race at the mushers' meeting. Monday's statement from the Iditarod Trail Committee did not specify what constitutes a "formal reprimand" for Craig. Marrs had earlier said he was "deeply concerned" by Craig's continued involvement in the race. The Iditarod statement said, in part, "While there are differing accounts of the exact nature and perceived intent of the conversation (between Craig and Marrs), the (Board of Directors) believes that the conversation was at best ill timed, and a breach of protocol on Dr. Craig's part." Race officials said Craig's role as head of the drug program is to analyze, interpret and report drug test findings to the board of directors, not to any third party such as individual mushers, unless authorized to do so. "The ITC sincerely appreciates the expertise Dr. Craig has brought to the race in developing a credible drug testing program," the statement said. "However, he has been made aware that any further actions on his part deemed detrimental to the success of the program will result in additional disciplinary action up to and including termination of services." At the time of Monday's statement, Marrs was in seventh place in the Iditarod, racing north on the Bering Sea coast.